The Colosseum in Rome. Credit. 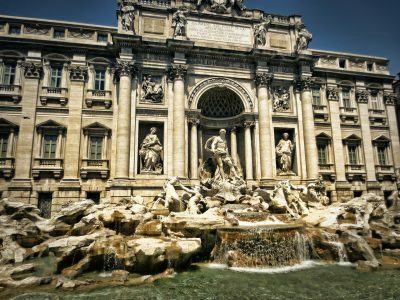 Classic films like Roman Holiday and La Dolce Vita have provided Americans and other foreigners a romanticized version of the essence of Rome during the second half of the 20th century. One imagines Audrey Hepburn as a royal European princess cruising on a Vespa down winding, cobblestone streets, or Marcello Rubini following a helicopter carrying a statue of Christ over an ancient Roman aqueduct into Saint Peter’s Square. 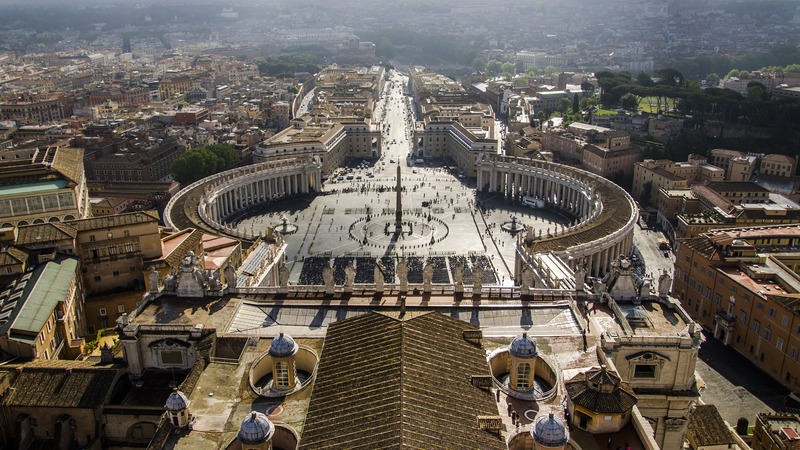 Rome is epitomized with images of the Pope waving to the masses from the Basilica in Vatican City. Envisioned are tiny, tucked away pizzerias offering their best crispy thin Margherita pizzas, with paesanos and tourists alike catching shade beneath oversized umbrellas, sipping on morning cappuccinos outside their favorite caffè. These images that flood the minds of travelers whom have yet to take a trip to the ancient city pose an important question: Is this actually what Rome and the Italian lifestyle is like? The answer is, simply, yes. There is no better place to indulge in the Italian way of life that has become so prominent through film, images and other mediums of popular culture than in the country’s capital itself. While this rings true, it is imperative to consider how taxing it can be to plan a trip for large student groups in one of the most visited cities in the world. Planning far in advance is without doubt the most important facet to cogitate when organizing a student group trip to Rome. 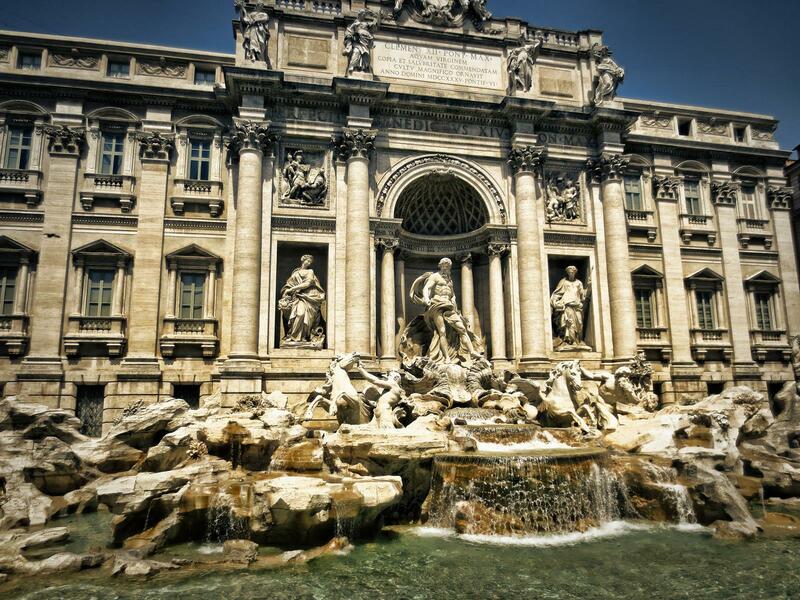 Throw a coin into Rome’s famous Trevi Fountain, and legend has it that you will one day return to the Eternal City. 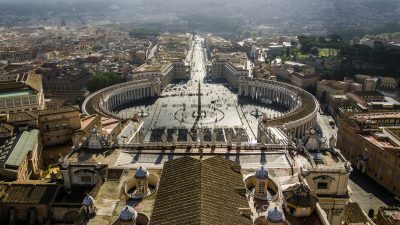 Travelers around the world are drawn to this mythical tradition for one obvious reason: they want to return to Rome. Rome offers student group travelers a peerless experience with plausibly more historical significance than any other city in the world. Its architecture, history, art and culture could fascinate group visitors for weeks on end. No matter how much time is spent in Rome, travelers always tend to come back for more. To get the most out of your group trip to Rome, the best times to visit are arguably from April to June and late September to October. Temperatures are usually mild and this is considered low travel season throughout Europe, though it could be busier in April due to Easter holiday. Starting in mid-June, Rome becomes swarmed with tourists and remains this way until the end of summer. It can also be extremely hot during summer months, an occurrence that could be daunting with a large student group. While winter months are usually cooler in Italy and considered off season, prices for flights are usually lower and there won’t be as many crowds at major tourist sights, a benefit to consider when traveling with large student groups. When traveling with a large student group abroad, you’ll want to get the best deal on flights. 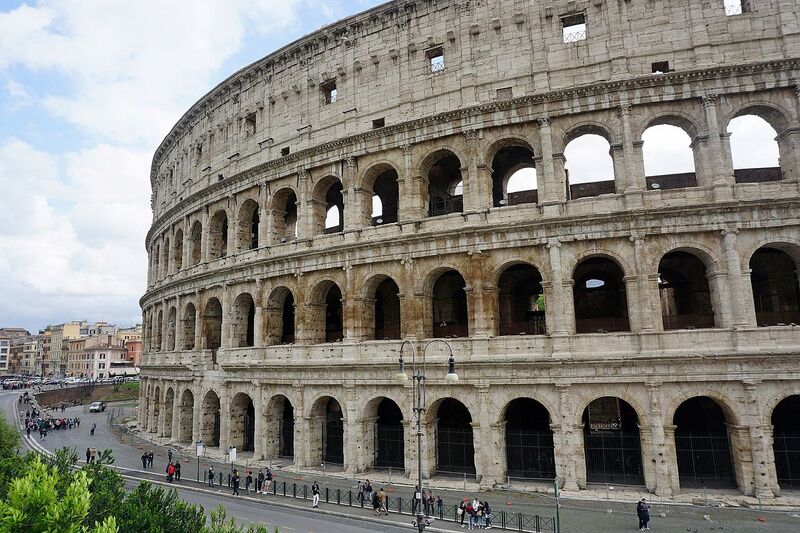 There are a number of things to consider when buying international flights to Rome. According to Business Insider, the cheapest day and time to buy a flight is on a Tuesday afternoon. Airlines tend to release weekly airfare sales on Tuesday mornings and by mid-afternoon, competing airlines will offer matched sale prices. The earliest flight of the day is also usually the cheapest, so check for outgoing early bird flights. Consistently checking social media is another way to snag airfare deals. Low-cost carriers such as JetBlue tend to advertise on social media platforms like Facebook and Twitter. Signing up for price alerts can also help student groups get the best deal on flights. Skyscanner, Kayak, Expedia and AirfareWatchdog are just a few of many travel fare aggregator websites that provide price alerts for international travel; it’s important to check multiple sites to ensure finding the best airfare deals. If you’ve found a great deal using a travel fare aggregate online, head to the specific airlines’ website, or call the airline and see if they have a group sales department. Many airlines have a group desk or group sales department that can offer deals for large student groups. Keep in mind that Rome has two major international airports: Leonardo da Vinci-Fiumicino Airport (FCO) and Ciampino-G.B. Pastine International Airport (CIA). Make sure that when searching the best deals for student groups to be looking at all airports in Rome. While FCO is the busier international airport of the two, there are sometimes cheaper flights to and from CIA. Further aspects to consider when booking airfare for large student groups is when to book. It is a common misconception that the earlier one books a flight, the better. In reality, various aggregator websites, airlines, travel magazines and blogs agree that the best time to book a flight is two months in advance. A study from Airlines Reporting Corporation revealed that prices drop below the average fare around this time. After arriving at the airport in Rome, there poses another great question: How will I get my large student group to our accommodation? Putting four to five students in one cab for a group between 40 to 50 or more will become incredibly costly. Luckily, Rome offers hourly bus rentals for large student groups. There is also the option to hire a bus for various city tours or multiple-day rentals. To inquire about bus rentals, click here.